Recently, there has been a large popularization of location-based social networks, such as Foursquare and Apontador, in which users can share their current locations, upload tips and make comments about places. Part of this popularity is due to facility access to the Internet through mobile devices with GPS. Despite the various efforts towards understanding characteristics of these systems, little is known about the access pattern of users in these systems. Providers of this kind of services need to deal with different challenges that could benefit of such understanding, such as content storage, performance and scalability of servers, personalization and service differentiation for users. 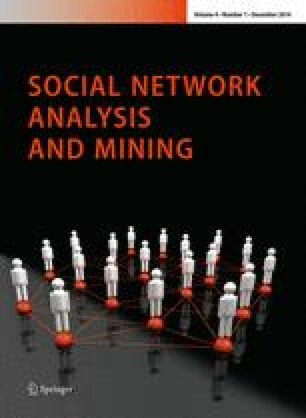 This article aims at characterizing and modeling the patterns of requests that reach a server of a location-based social network. To do that, we use a dataset obtained from Apontador, a Brazilian system with characteristics similar to Foursquare and Gowalla, where users share information about their locations and can navigate on existent system locations. As results, we identified models that describe unique characteristics of the user sessions on this kind of system, patterns in which requests arrive on the server as well as the access profile of users in the system. This research has been supported by CAPES, CNPq, and Fapemig. The authors also would like to thank Apontador Inc. for the data provided.